Adds <so­urc­e> to <de­st>. <de­st> may be a register or memory. <so­urc­e> may Be a register, memory or immediate value. Call a function and return to the next instru­ction when finished. <pr­oc> may be a relative offset from the current location, a register or memory addr. Compare <so­urc­e> with <de­st>. Similar to SUB instru­ction but does not Modify the <de­st> operand with the result of the subtra­ction. Subtract 1 from <de­st>. <de­st> may be a register or memory. Divide the EDX:EAX registers (64‐bit combo) by <di­vis­or>. <di­vis­or> may be a register or memory. Add 1 to <de­st>. <de­st> may be a register or memory. Jump if Equal (ZF=1) to <lo­c>. Jump if Greater (ZF=0 and SF=OF) to <lo­c>. Jump if Greater or Equal (SF=OF) to <lo­c>. Jump is Less or Equal (SF<>OF) to <lo­c>. Jump if Not Equal (ZF=0) to <lo­c>. Jump if Not Zero (ZF=0) to <lo­c>. Jump if Zero (ZF=1) to <lo­c>. Load Effective Address. Gets a pointer to the memory expression <so­urc­e> and stores it in <de­st>. Move data from <so­urc­e> to <de­st>. <so­urc­e> may be an immediate value, register, or a memory address. Dest may be either a memory address or a register. Both <so­urc­e> and <de­st> may not be memory addresses. Zero extend <so­urc­e> to long and save in <de­st>. Multiply the EDX:EAX registers (64‐bit combo) by <so­urc­e>. <so­urc­e> may be a register or memory. Take a 32‐bit value from the stack and store it in <de­st>. ESP is increm­ented by 4. <de­st> may be a register, including segment registers, or memory. Adds a 32‐bit value to the top of the stack. Decrements ESP by 4. <va­lue> may be a register, segment register, memory or immediate value. Bitwise Rotate Left the value in <de­st> by <co­unt> bits. <de­st> may be a register or memory address. <co­unt> may be immediate or CL register. Bitwise Rotate Right the value in <de­st> by <co­unt> bits. <de­st> may be a register or memory address.  <co­unt> may be immediate or CL register. Bitwise Shift Left the value in <de­st> by <co­unt> bits. Zero bits added to the least signif­icant bits. <de­st> may be reg. or mem. <co­unt> is imm. or CL. Bitwise Shift Right the value in <de­st> by <co­unt> bits. Zero bits added to the least signif­icant bits. <de­st> may be reg. or mem. <co­unt> is imm. or CL. Performs a logical OR operation but does not modify the value in the <de­st> operand. (source = dest)‐­>ZF=1, (source <> dest)‐­>ZF=0. Exchange the contents of <so­urc­e> and <de­st>. Operands may be register or memory. Both operands may not be memory. Bitwise XOR the value in <so­urc­e> with the value in <de­st>, storing the result in <de­st>. <de­st> may be reg or mem and <so­urc­e> may be reg, mem or imm. – Merges multiple reloca­table (.o) object files into a single executable object file that can loaded and executed by the loader. – As part of the merging process, resolves external refere­nces. • External reference: reference to a symbol defined in another object file. – Relocates symbols from their relative locations in the .o files to new absolute positions in the execut­able.